PROSECUTOR: Frank A. Blandino, Esq. Were you charged with a crime in Hillsborough? The legal team of LS&P Lawyers has been defending individuals in municipal courts throughout New Jersey for over 35 years. Throughout the years we have built an outstanding record of success. Our lawyers provide affordable and effective representation to our clients. Each of our lawyers is knowledgeable in traffic ticket defense, criminal defense and DWI defense. 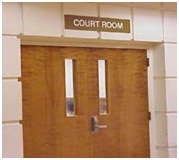 Our familiarity with the municipal court system aids us in providing the strongest defense possible for our clients. At LS&P Lawyers we also have certifications in DWI defense. These qualifications allow us an inside glimpse into the tactics used by police when making a drunk driving arrest. With that we can weaken the State’s case and strengthen yours. If you or someone you know has been arrested in Hillsborough or scheduled to appear before the municipal court for a criminal offense or traffic violation, including DWI, we are here to assist you. We are available 24/7 for a free consultation. The majority of Hillsborough Municipal Court cases fall into three categories: disorderly person, DWI or traffic offenses. If you have been charged with an offense such as disorderly conduct, criminal mischief, domestic violence, or simple assault, you have been charged with a disorderly persons offense and must appear before this court. Similarly, tickets received for speeding, reckless driving, driving without insurance, or leaving the scene of an accident can be paid or argued here. A conviction in this court can have damaging results, such as fines, a criminal record, loss of license, and even jail-time. It is wise to seek legal representation from a lawyer who has experience dealing with and beating these types of charges. The Hillsborough Township Municipal court is presided over by John F. Richardson. He has almost 45 years experience practicing law, and has been on the bench since 2007. Hillsborough Township is an affluent municipality of 38,303. The township has a very low population density due to its massive size, so in turn the crime rate is very low. Theft and burglary are the most common offenses dealt with in Hillsborough, but both offenses occur much less frequently than the rest of New Jersey. There is also a large teenage population, which can lead to offenses like underage drinking, possession of less than 50 grams of marijuana, possession of a fake ID, and traffic violations like speeding and reckless driving. Montgomery Township is an area of 22,254. It is a very wealthy township with a low rate of crime. However, this township also has a large population of teenagers so offenses such as underage drinking, possession of less than 50 grams of marijuana, and possession of a fake ID have occurred. Route 206 runs straight through Montgomery, which leads to traffic stops, tickets and DWIs. An average of 10 disorderly persons complaints and over 50 traffic tickets & DWI charges are heard weekly in the Hillsborough Municipal Courthouse. The lawyers of LS&P Lawyers have a tremendous success rate and will defend you for any sort of municipal charge. If you need courtroom advice or representation, contact our offices right away. We are available for free consultation 24/7 and are located at 123 North Union Ave in Cranford, NJ 07016. You can be certain that the lawyers of LS&P Lawyers will give you useful legal advice and provide you with an outstanding defense.